42xx 2-8-0 tank and U class 2-6-0 31618. 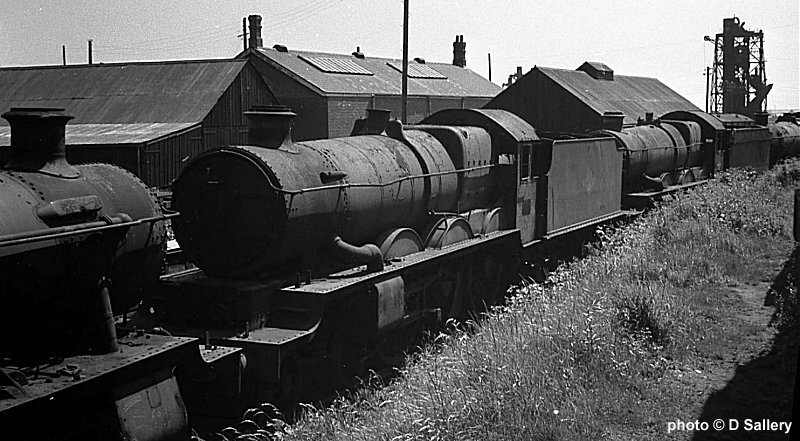 A 56xx 0-6-2 tank. The roof of the Barry Railway works is in the background. 56xx 0-6-2, 53xx 2-6-0 and 42xx 2-8-0. The building on the right is the Barry Docks Company offices. Three pannier tanks and a 41xx 2-6-2 tank. Link to my British Railways 1960's steam website.